Since I’ve met my husband, I’ve been fascinated by the differences between us…and please don’t think it’s just its because he’s my oh-so-dreamy, one-and-only, most-perfect-man (no one like that actually exists)…it’s because I’m a psychology-type and am fascinated by people. So there’s that. I work at a wonderful school called Boulder Journey School (BJS). I have worked with several ages of children at BJS, including infants, toddlers, and preschool, and currently focus on working with adults through the school’s Teacher Education Program. BJS is the kind of place where you are encouraged to bring your passions into the classroom each day, and nurture and support the passions of others. Not only are creativity, innovation, and collaboration nurtured in children, but also in teachers. Throughout my years at the school, I’ve had the opportunity collaborate with children, families, and colleagues on a number of different curriculum projects ranging from exploring the local community, to exploring nature, to exploring technology. It is the latter that has been a huge influence on my desire to learn to code. Having opportunities to engage with children around all kinds of technological tools is an amazing thing. Their natural affinity, curiosity and exploration provide so many new perspectives. These experiences also instilled an urgency in me to personally learn more about technological tools I could be offering as a teacher. They also provoked conversations with colleagues about how much technology we should be offering…when, why, and how (a conversation that has dramatically evolved since I began teaching in 1999). Being immersed in a community so open to dialogue about using technology with young children has really inspired me to continue to ask these questions…of myself and with others. Coding is one part of the conversation about technology, and I think it’s an important part. In 2013, I had an opportunity to work on a new website for my school. DO NOT BE DECEIVED! We used a template-based program…Weebly. You click on little symbols and drag them into your page, and presto! You get a website! So I was working with a really easy and user-friendly program, and content written by others…NO actual coding. The experience of creating a website like this did, however, leave a taste in my mouth to learn more about coding. I certainly saw a lot of code while I was working on the project. For each click & drag element that you add into Weebly, source code does exist…you are just not writing it…it appears like magic. You can look at it, however, so I could see how the clicking and dragging was actually code translating into tangible things on the page. I had no idea how Weebly was doing that, but I think just plain exposure made me feel less scared of it. Also in 2013, I attended a conference in Chicago entitled “Technology in the Early Years”, hosted by The Erikson Institute and Columbia College in Chicago. We got to visit a really amazing school called the Catherine Cook School, which really embraces technological tools in children’s learning. A conversation with a preschool teacher here was another pivotal moment in motivating me to learn to code. The teacher explained why using a visually linear calendar with children (depicts months as a single line of days, rather than blocked into a rectangle of weeks) qualified as support for “pre-coding” skills. This was really interesting to me, because I’d heard of linear calendars. Some prekindergarten classrooms at Boulder Journey School use them. For preschoolers who are just beginning to learn about time, it is so much more logical to present days visually as a single line of days in a row. This doesn’t mean you never get to the traditional blocked, stacked weeks calendar, but it is a more natural progression of learning. However, I had never heard someone make a connection between a single line of symbols and supporting a child’s ability to understand computer code later in life. 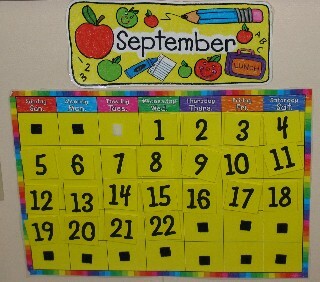 An example of a linear calendar: A linear depiction of the month of September. A traditional calendar…This is the way t usually represent days and weeks, but why? A slight diversion for those of you who don’t know: “pre-” is what preschool teachers do (and it’s REALLY important!) Preschool teachers don’t deliver formal reading instruction. They incorporate pre-literacy skills into what they teach. For example, understanding that letters have sounds, groups of letters are words, words have meaning, words can be grouped together to make sentences, etc. Children need to know all kinds of things about reading before they actually learn to read, and that is one thing preschool is for. Research shows that if children don’t have opportunities to learn all this stuff, it is much harder for them to learn to read, and is likely to make school harder for the rest of their lives. Pre-math skills are just as important. I started to wonder what other types of activities supported “pre-coding” thinking and skills, but I realized that I was not very qualified to figure this out. I know how to read and to speak English…so it’s easy for me to break language and reading down into more simple components. I know how to do elementary school math…so that is also easy to break down too. I imagine that coding is somewhere in between language/literacy and math, but I also speculate that it’s its own thing too! 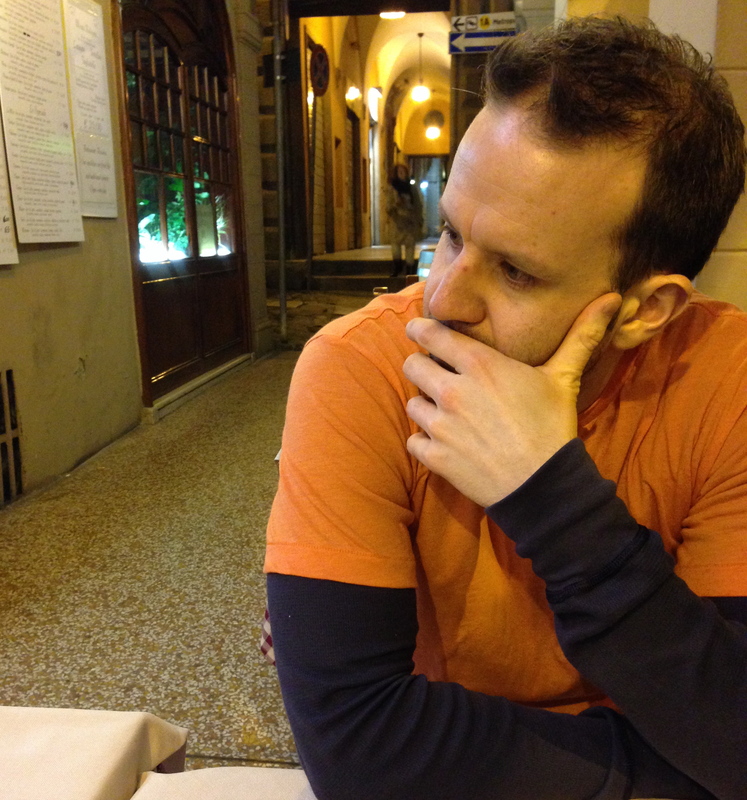 Conclusion: So…Why coding? Why now? Thanks to the inspiration of David and Frances Hawkins, I have come to believe strongly that teachers must have a comfort level with all the curriculum they teach. At some point in the very near future (and already happening in some schools), teachers will all have to incorporate coding into curriculum, but will they understand it themselves? Preschool teachers will need to be incorporating pre-coding into their teaching, but will they know what that is? I have no idea what I’m going to discover, I wanted to create this blog to document my process of change. I am not blowing smoke when I say that coding is scary to me and I never ever thought I would willingly learn it (…and I honestly believe that I’m just as likely to not learn it!) I just have come to believe that anything is possible when you put your mind to it (yeah, I know, corny… but true!) I want to be able to go back to a post like this in a year and laugh at how silly I sound.